Where high-style meets high-security! PDC Smart® Satin Elite Wristbands feature ultra-soft satin-like material with dual-sided, edge-to edge full color printing-making them the premium wristband for high-impact branding. Further enhance your branding or differentiate between different levels of access with a custom designed woven wrap. 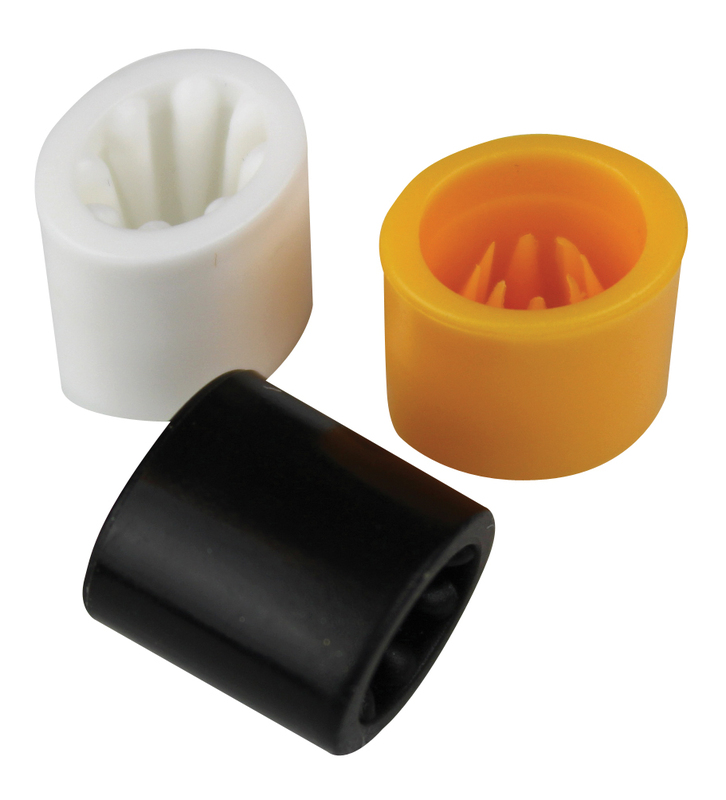 Maximize security with an embedded RFID tag and your choice of high strength, one-way sliding plastic closure to prevent counterfeits and transfer. 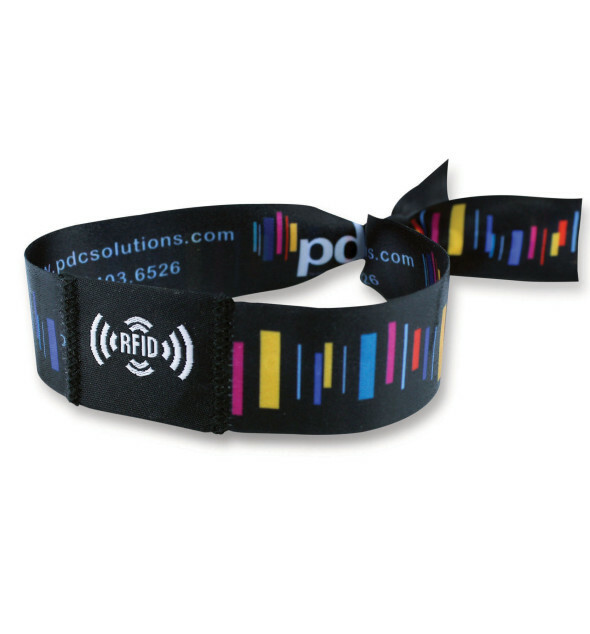 Custom Printing: Full-color, photo quality dye-sublimation printing inside/outside wristband surface. Material: Made of a special mix of nylon and cotton materials with enclosed RFID chip to reliably store and transfer data. Custom Woven Graphic: Choose up to 8 PMS thread colors per design. 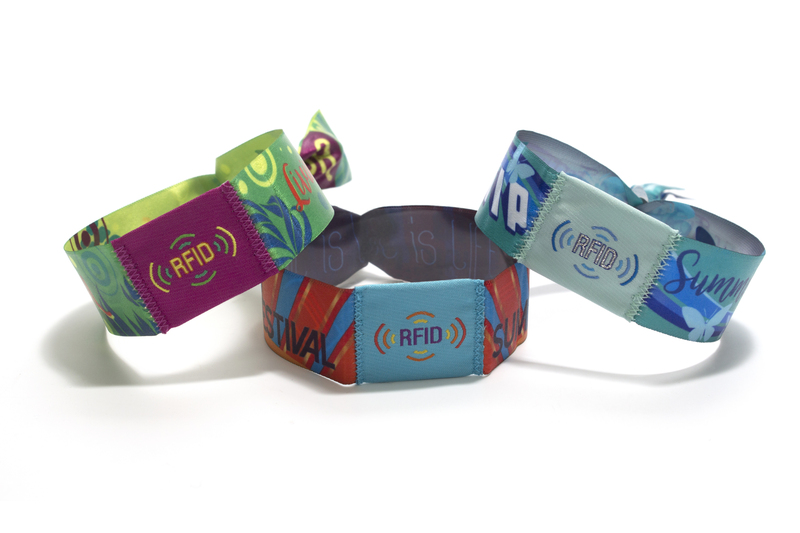 Custom Serialization: Up to 8-digit variable data, alpha numeric, sequential, or Tag UID laser engraving on back of the RFID wrap supports guest registration or social media programs. Lead Time: 3 weeks from artwork approval & payment terms. Lead time may vary pending RFID inlay availability. 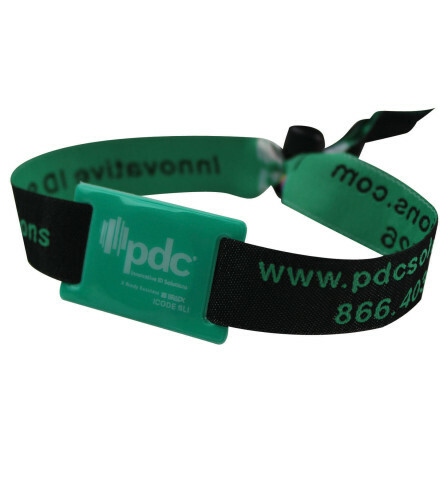 High-strength, one-way sliding plastic closure includes 8 teeth to firmly grip the wristband into its secured position. 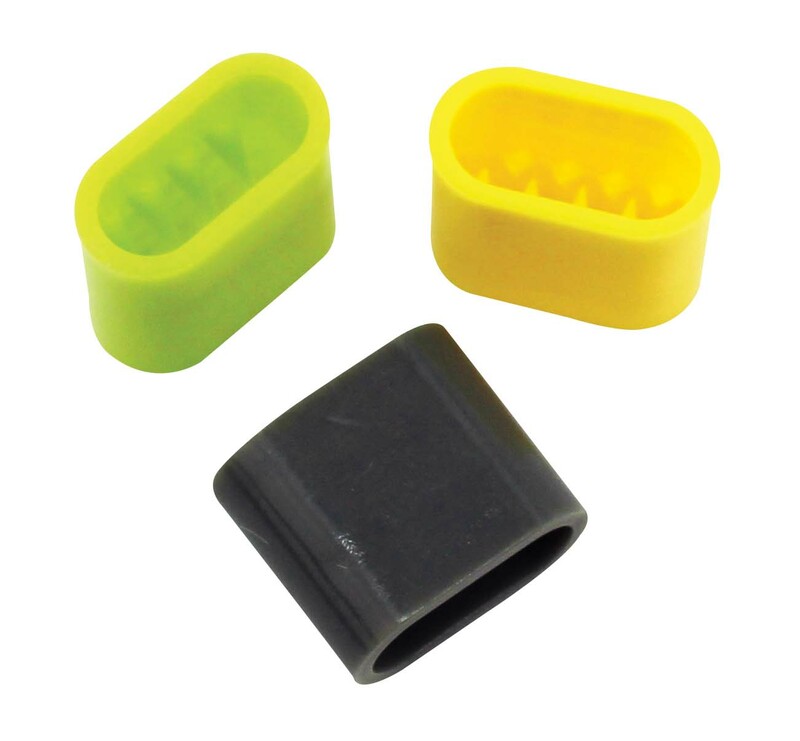 High-strength, one-way sliding plastic closure features 8 teeth and an ultra-slim design for a tighter grip to secure the wristband in position. Dual-sided, full-color dye-sublimation printing accommodates logos, photos and other intricate graphics. For maximum branding impact, create two separate artwork files, one for the outside and one for the inside of band.